Top entertainers, and even some karaoke singers practice what is called power singing to emote to the audience a feeling. or whatever the performer is going for. But, what exactly is a power singer and how can you become one? 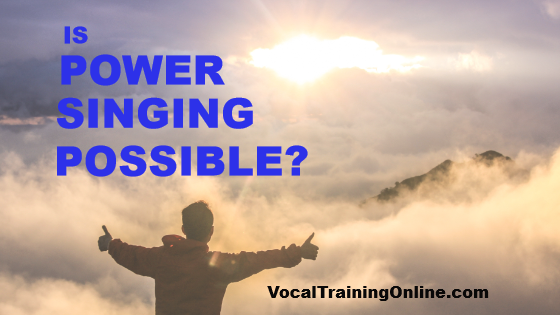 This singing tutorial shows how to become a power singer and use your voice to its fullest potential. So, I’m excited to play this video from Singing Success to introduce you to power singing skills. Enjoy! You’ve watched your favorite singer as he or she came on stage and then began to sing with that amazing, powerful voice. The crowd was moved, the song was amazing. And, the singer made it all look so easy! This is power singing. And yes, it’s something every singer can accomplish with a little study and practice. What is Power Singing? – Do You Need a Warning? 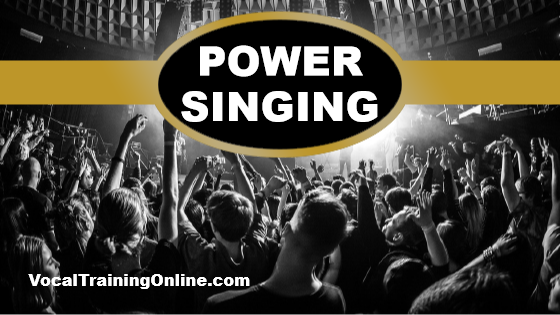 Power singing is defined as singing with volume and tremendous emotion simultaneously. It’s what many will call “putting your entire heart and being” into the song. But note this, power singing often comes with a price if you don’t know how to do it properly. Many professional singers ruin their voices early on due to power singing without proper technique. They end up with a sore throat, scratchy voice, etc. And then, they have to cancel or postpone concerts and recording sessions so they can recover. The good news is, you don’t have to damage your vocal cords to become a power singer. You can learn the proper singing techniques from the beginning so you can woo your audience with song without hurting your voice and throat. Power singing begins with proper training from the very beginning. Unless you learn how to use your voice the correct way, you won’t be able to sing with power while keeping tune and hitting all the right notes. If it’s within your means, I recommend that you seek the services of a professional voice coach so you can learn all the right techniques of singing. Being a great singer doesn’t mean you know all there is to know about singing. A trainer or coach can help you realize your full potential and how to maximize your talents the correct way. I wrote a post recently about how to choose a good vocal coach. You can read it here..You can read it here..
You can build confidence with practice if you make a conscious effort to visualize success. When practicing songs, imagine yourself singing wonderfully in front of a huge crowd. Now, imagine your voice is powerful while singing! Once you’ve mastered the basics of singing through a singing coach, start studying online vocal courses or use my vocal tips newsletter that show you various techniques for power singing. Next, learn where and how to open your mouth. Discover the benefits of changing the emphasis on certain words from a consonant to a vowel. Study how and where to hold your tongue while singing. Also, learn and use various breathing techniques during your practice sessions so you can breathe properly without much thought while on stage. 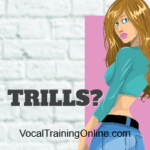 Consider taking an online vocal training course if you’re pressed for time or have limited funds. There are numerous courses written by professional singing coaches or singers that can help you learn proper techniques. Some are in written format (such as e-books) while others offer videos and audio files to demonstrate the techniques being taught. If you think of your voice as an instrument with various parts, then you can easily learn which parts should be where during a song. This gives you control of your voice instead of it controlling you. 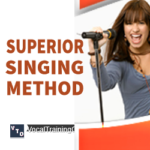 Treat singing just like any other skill so you can master it! The art of power singing isn’t complicated once you know how. You’ll soon be able to captivate your audience with powerful songs-even if you don’t normally have a loud voice. It’s not all about volume, but learning to use what you’ve got in the proper way! 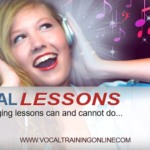 When you search, you’ll find lots of great vocal training online courses out there. I want to share a link with you about one of the best in the business. 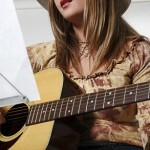 ==> Start here today to become a better singer..